Children can be challenging at any age, but one of the key periods when life can seem extra challenging is during the pre-school years. In my view especially 18 months to around three years of age. Development is so speedy at this age and little people are constantly trying to make sense of the world around them, we really do ask a great deal of them. There are lots of milestones we feel they should be meeting and ways to behave and not to behave in any given situation. Really its no wonder little ones have tantrums, shout, cry and perhaps struggle to get to sleep sometimes. They have so much to process before it all begins again the next day. One preschool show that mirrors these challenges is Bing. Tell me that if you have a pre-schooler you know about Bing! 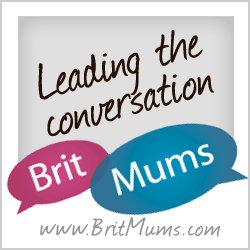 Bing Bunny and his carer Flop demonstrate to children and parents how you can navigate your way through the range of micro-dramas that happen to little ones on a daily basis. Take for example…both wanting to dress up as the cat for Halloween. 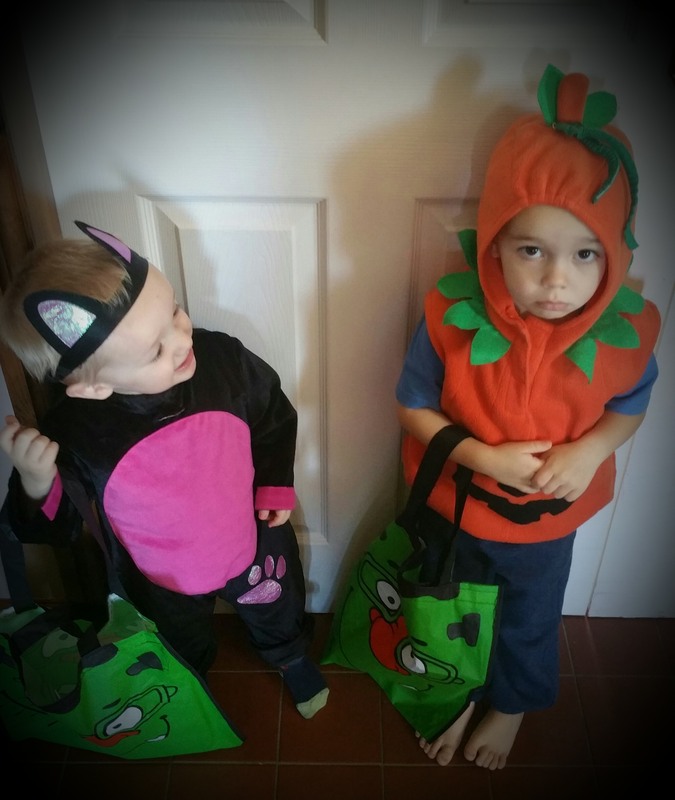 This photo says it all really, the pumpkin wanted to be a cat! The little boys do love Bing Bunny and they listen carefully to how Bing’s problems are resolved. 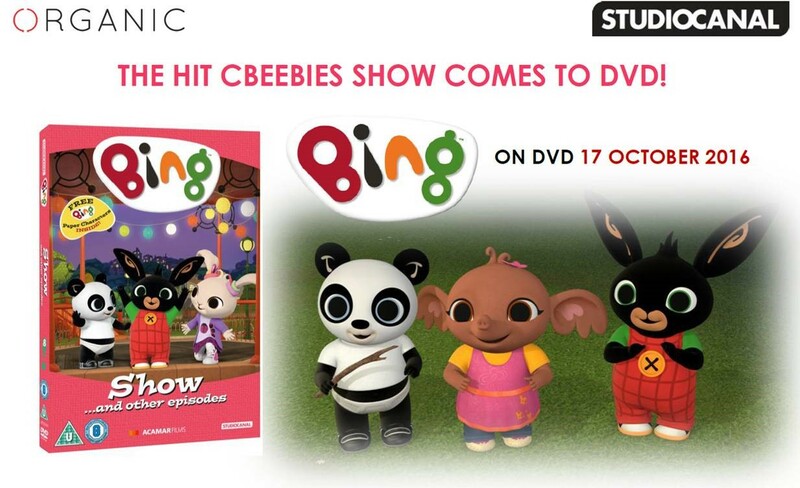 Bing: Show… And Other Episodes is the eighth and final volume in Season One, following Swing, Storytime, Paddling Pool, Fireworks, Surprise Machine, Music and Cat. The DVD comes with paper cut-outs of the characters where families can enjoy creating a scene, prefect for a night in this Halloween! Round the corner, not far away, Bing and Flop (voiced by OSCAR-winning Mark Rylance) are ready to play! 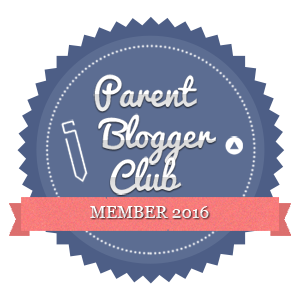 Celebrating the noisy, joyful, messy reality of pre-school life, Bing stories may be small, but they are full of everyday dramas that all young children and the grown-ups in their lives will recognise! To celebrate the release of this DVD the little boys have been having some pre-school Halloween fun Bing Bunny style. 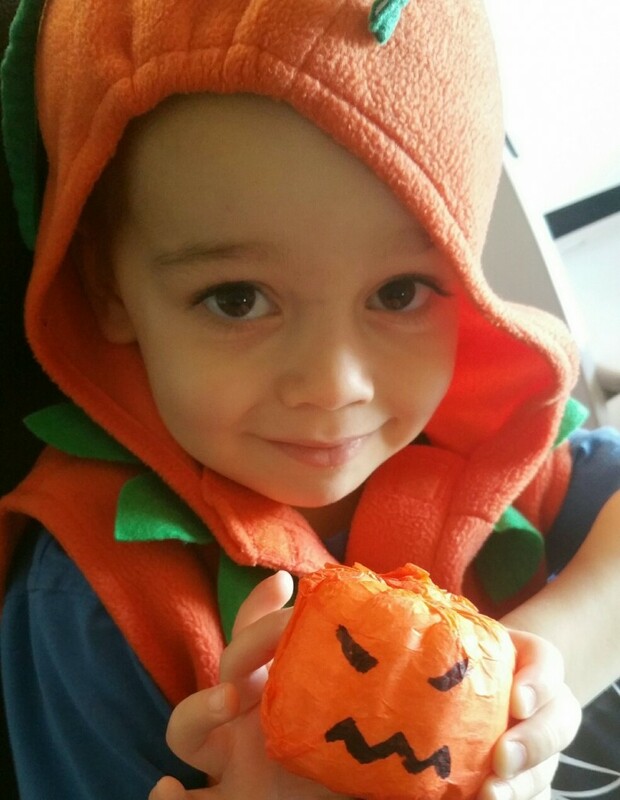 The boys love craft so we set about making some mini pumpkins. 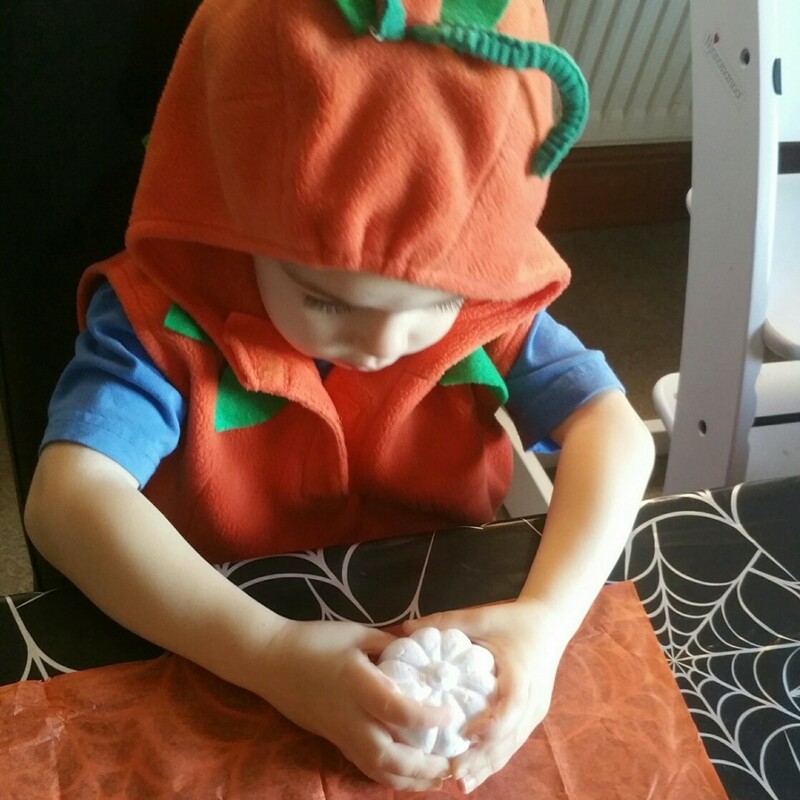 We wrapped polystyrene pumpkins in orange tissue paper and then put some scary Halloween faces on them with a sharpie. 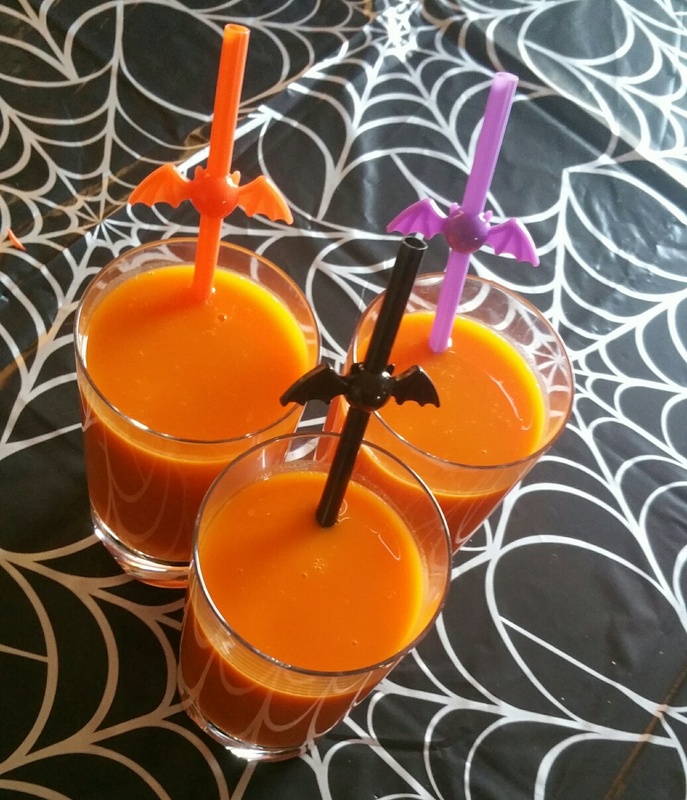 We had some carrot juice Bing would have been proud of, which looked pretty spooky with the addition of some Halloween style straws. 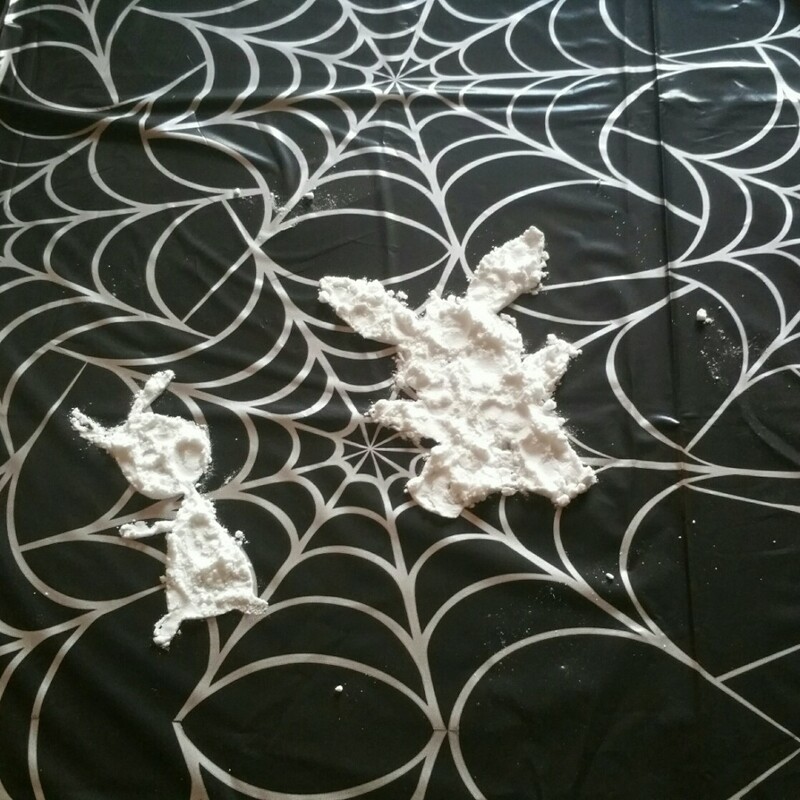 We also got quite excited with a Bing and Flop stencil and made some icing sugar shapes, which looked great for five minutes, until the boys nose dived into them. Well, they wouldn’t be pre-schoolers if they didn’t! This was a tiny moment in the day that became a big story. A story they found funny until bedtime and a story they will talk about no doubt for weeks to come. That is exactly what parenting little people is like, the tiniest things can make the biggest impact. Bing demonstrates that really well for both parents and children. Sometimes things don’t always go to plan, but really that’s just part of the journey for everyone. Aww that Bing Party looks great fun! Lily is a huge Bing fan!